While it seems like the older generation from first world countries is hell-bent on destroying the planet by dumping tonnes of waste and spilling oil into the oceans along with several other horrible acts, younger minds are coming together to fix what is left of the earth. In recent times, we have seen as young as school students protesting against global warming. Like the 16-year old climate activist winning the Noble Peace Prize to school kids uniting for a climate-change march, young souls are truly stepping out and advocating for all that matters! 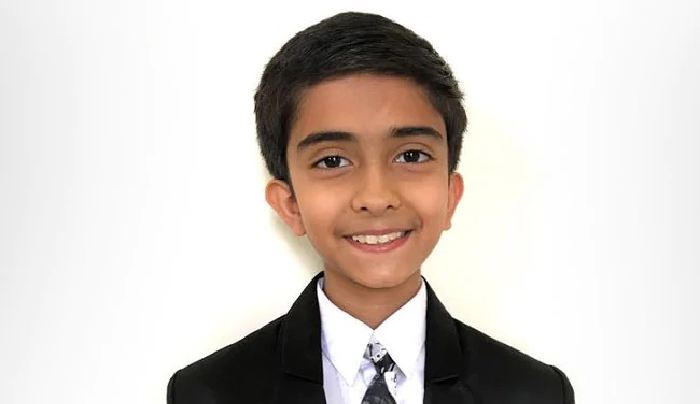 A new addition to the eco-warriors list is Sainath Manikandan, an Indian boy living in UAE, who is helping to preserve both marine environment and agricultural labour with robots. 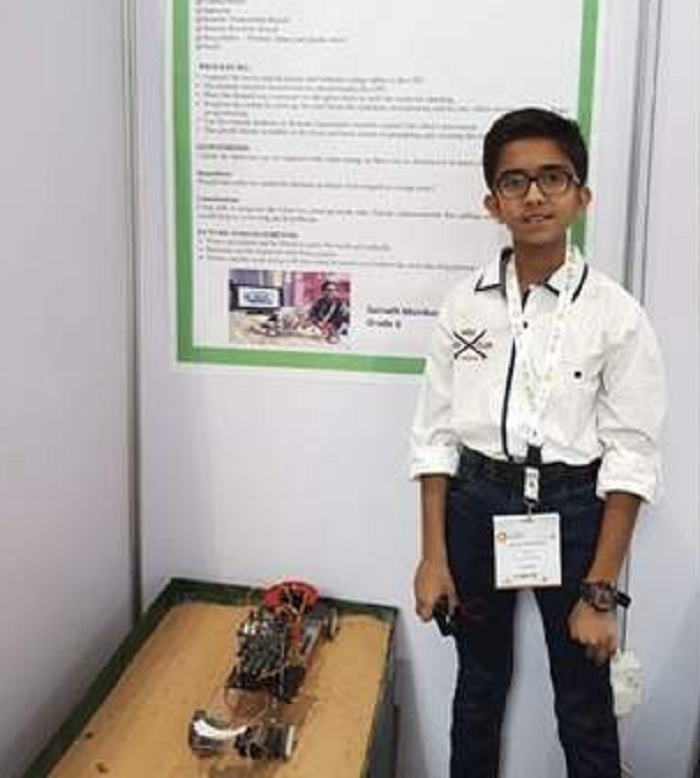 Sainath, a student of GEMS United Indian School, has built not one, but two robots – the MBot and AgriBot. He reveals how it runs with the help of two motors that help the boat move in the water. Attaching popsicle sticks to a wheel and a to a third motor helps push the waste from the water bodies into the storage basket. “Solar panels can also be used instead of batteries”, he adds. 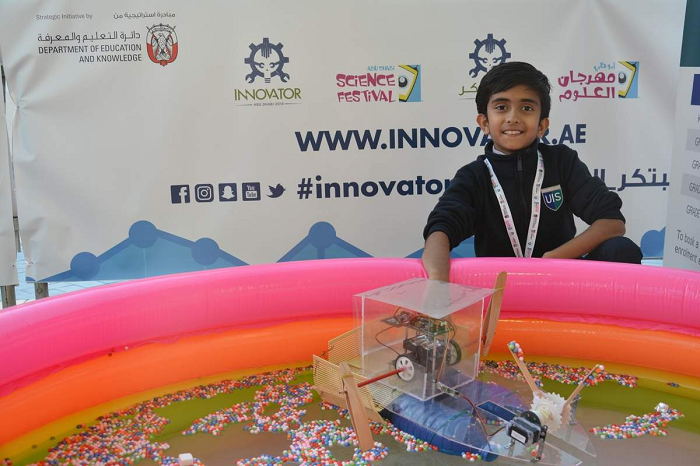 On the other hand, his AgriBot aims to help minimise manual labour on the field and can perform elementary functions like ploughing the field, sowing seeds, and covering the seeds with soil. “The purpose of AgriBot is to help the farmers in hot countries like the UAE”, Sainath says. Fighting for the environment and helping in his own way to preserve resources has always been a passion for the little boy. According to sources, he is an active member of the Emirates Environmental Group and an ambassador for Drop It Youth and Tunza Eco Generation. Last year, he had collected nearly 2,500kg of paper and 250kg of plastic. He believes that if his robots are manufactured on a larger scale, it can help the environment significantly. What a brilliant initiative by a young genius working towards a better tomorrow!